For those interested in expanding or starting a small business in Oswego County, there is a small business training class scheduled to begin in January. The course is scheduled to begin Monday, January 22. The classes will be held at the Business Resource Center at 121 East First Street, Oswego, from 6 pm to 9 pm, Monday, January 22, through Friday, January 26, and Saturday, January 27, from 8 am to 1 pm. The program provides a 24-hour small-business training program that covers such topics as how to write a business plan, how to obtain financing, accounting and tax issues, business insurance, legalities, marketing, and other basic business start-up issues. 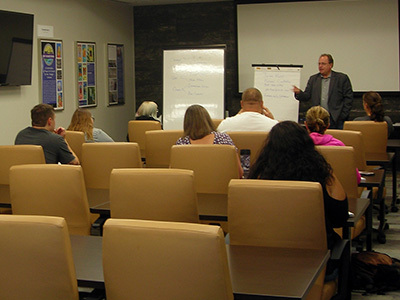 Classroom training is provided by Business Resource Center small business advisors, as well as other area business professionals. The program is coordinated by the City of Fulton Community Development Agency, City of Oswego Community Development Office, SUNY Oswego Business Resource Center (BRC) and Operation Oswego County to provide guidance and support to people interested in starting or expanding a small business. For more information, or to register for the class, call 312-3493. To download a program or scholarship application, visit www.oswegocounty.org/training.php.